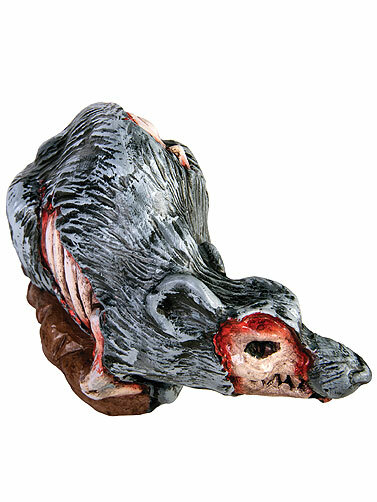 Place this Crouching Rat Prop next to an entryway, on a table or even a mantle for a gruesome Halloween display. 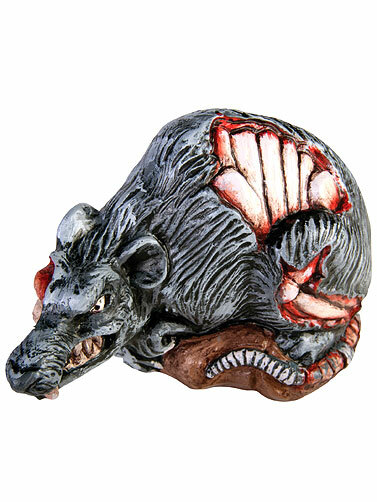 Scary rat decoration is highly detailed, and features exposed bones, and blood. Constructed in hollow plastic making it safe for outdoor displays. Crouching Rat Prop measures 4.5"H x 6.5"L.